Our lovely Damask Save The Date cards are just what you need to elegantly announce your special wedding date! 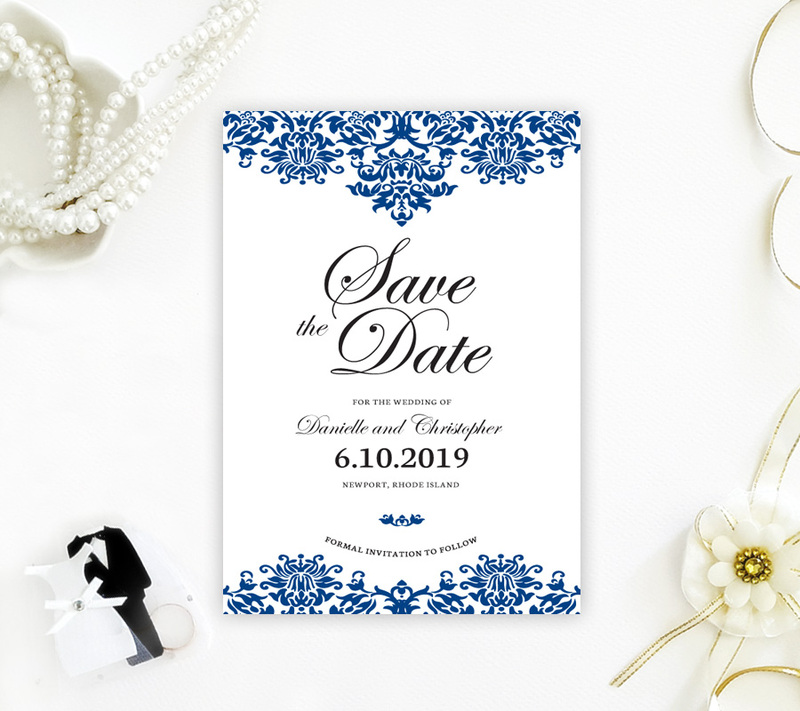 These formal cards are decorated with an ornate damask pattern and will showcase your details written in sophisticated font. Cards are printed on shimmering white card stock for a lavish finish.